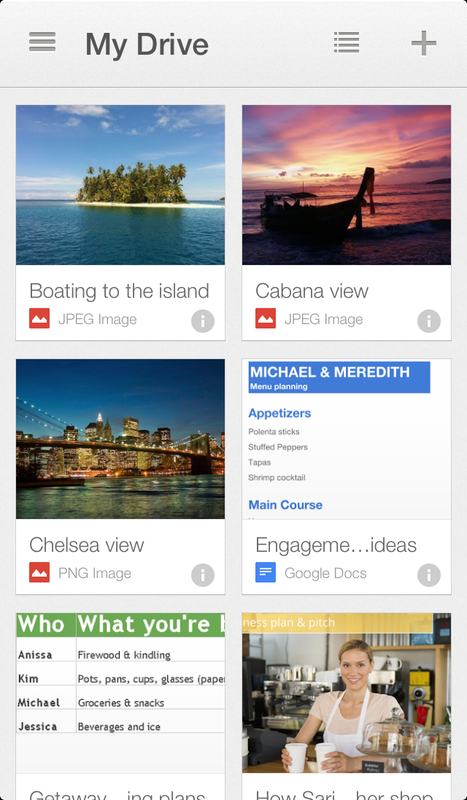 The Google Drive for iOS app has been updated today with an all-new look that mimics the card-style layout using across Google+ and the Google Drive for Android app. The traditional list view is still available for purists, but the emphasis here is clearly on the more visual thumbnail layout. Google says this latest version of the iOS app also groups together files and folders more intuitively, making it easier to discover that all-important text document. Users can also grab share links in the details pane of the app; they’ll be automatically be added to their clipboard, ready to be shared via email or a cross-platform messaging service. Last of all, search has also been brought to the forefront of the app, again prioritizing discoverability throughout Google’s cloud-based storage service.